Gorgeous FULLY REMODELED single story SOLAR home with POOL and backyard oasis near schools and parks! Owners spared no expense with recent updates, including: interior and exterior paint, all new premium flooring, full master bath remodel, kitchen appliances and island with granite counters, all interior LED lighting, ceiling fans, oil rubbed bronze door hardware, front window shutters, and closet shelving. The spectacular indoor/outdoor living continues into your backyard retreat! You'll have time to relax, entertain, and swim in this showcase pool (new variable speed pool pump) all in your low maintenance backyard featuring artificial grass, solid patio cover, and wonderful landscaping. 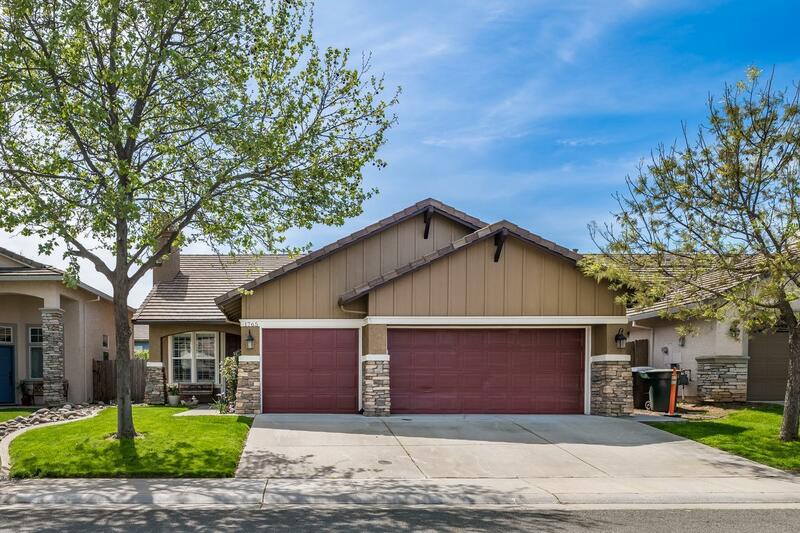 With 4 full bedrooms, a large 3 car garage, owned solar, no HOA, low Mello Roos ($59/mo) and upgrades throughout, it's time to make this your dream home!